One of the most respected and desirable Maisons de Parfum in the world, Atelier Cologne was founded by partners Sylvie Ganter and Christophe Cervasel, who met in New York over a decade ago. 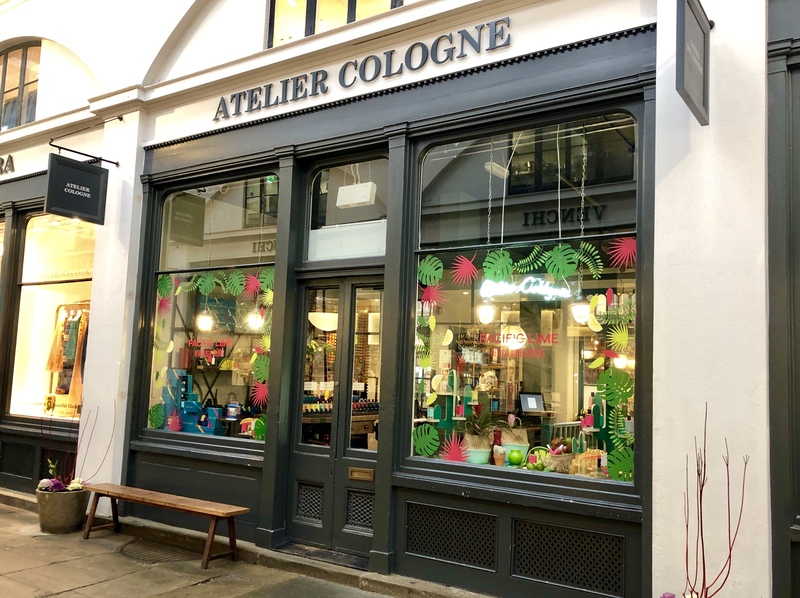 Experience is everything here, customers are immersed into the Atelier Cologne universe, being introduced to the collection and having their own personal ‘perfume wardrobe’ defined. We were charged with creating an eye-catching display that was to bring Mexicana to Covent Garden with a vibrant window in chic Atelier Cologne's West End boutique. The brief was to create an evocative and vibrant window display which played on an original and joyful in store scenography, to catch the attention of consumers and pay tribute to the new Cologne Absolue with key citrus elements. 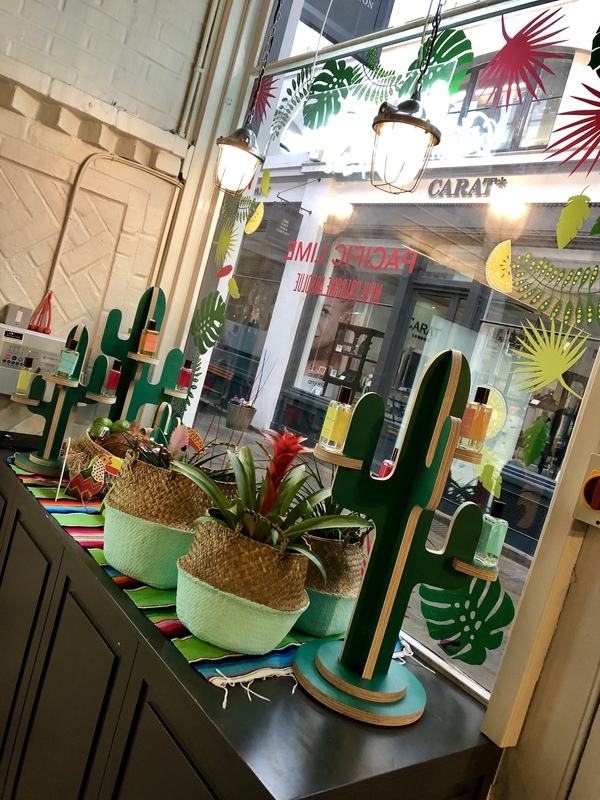 We had great fun briefing our graphics and sample shop teams to create toucans and cacti and decals and canvases to bring the scheme to life in the two different windows within the boutique. We also spent time sourcing authentic rugs and glassware to complement the handmade elements and to create a colourful, playful and eye-catching authenticity for the overall look of the window. The assets were super colourful and we enjoyed the challenge of balancing the displays to ensure that they did not overpower the showcasing of the fragrance itself and the ingredients born from nature which are the hallmarks of the scent. The launch of this stunning new Pacific Lime fragrance was a great success and we loved working on such a vibrant brief and the team were excited to see the eye-catching window come to life in iconic Covent Garden. Creating and sourcing the props for this joyful Mexican-themed display was fantastic fun and we were thrilled to complete another window for this brand, this time seeing our cacti and toucans, limes and baskets land in the boutique and also and Selfridges to attract all of those lovely shoppers.